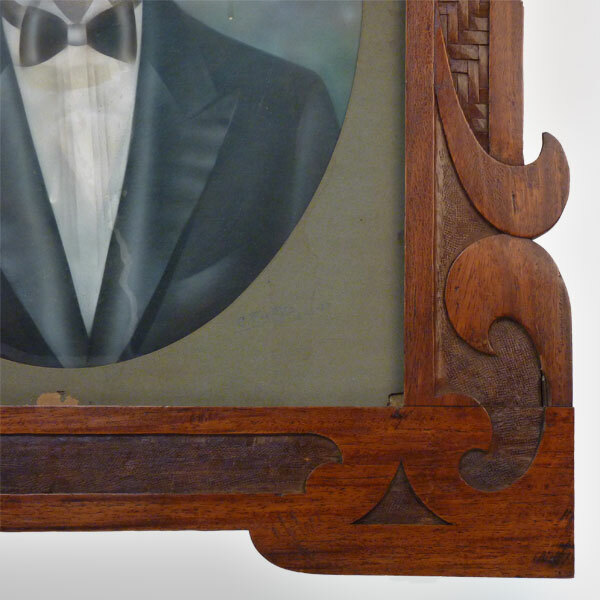 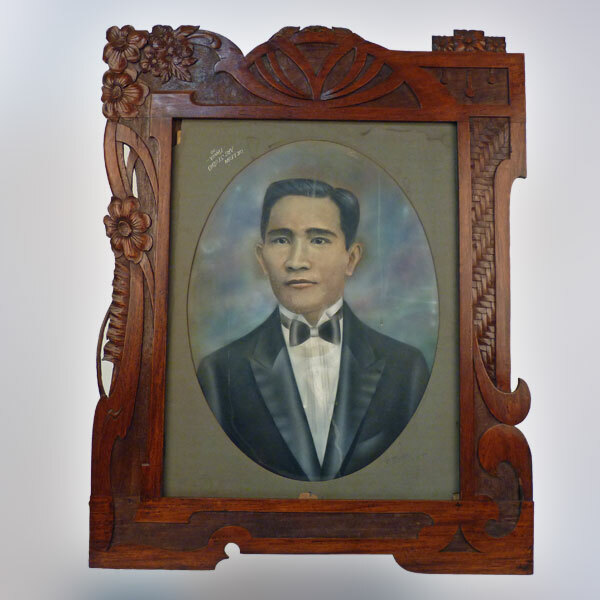 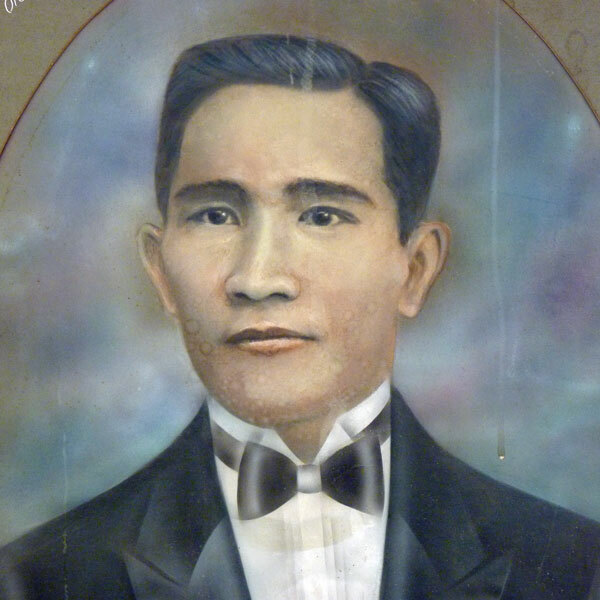 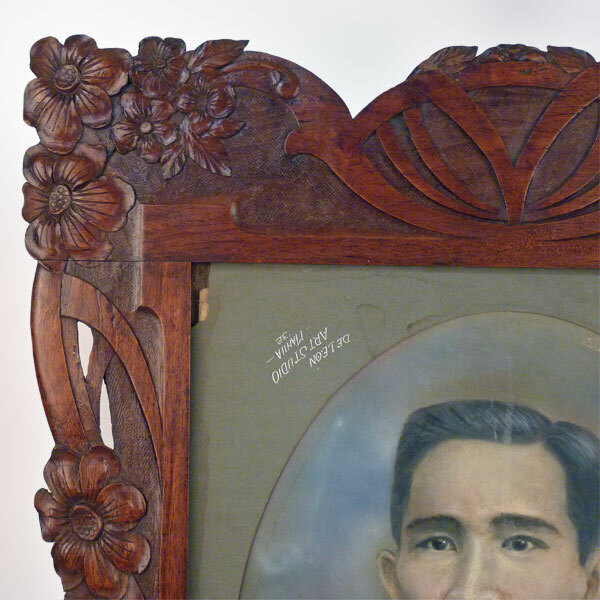 Narra wood framed portrait of A. Mabina, Manila, Philippines, circa 1930's. 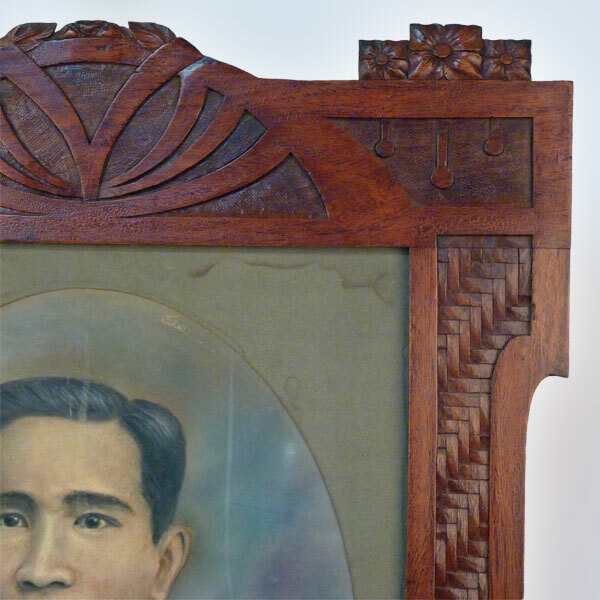 Acquired for my collection in Manila, Philppines in 2007 and dates from the late Commonwealth Period ( early 19th century thru mid 20th century) circa 1930's. 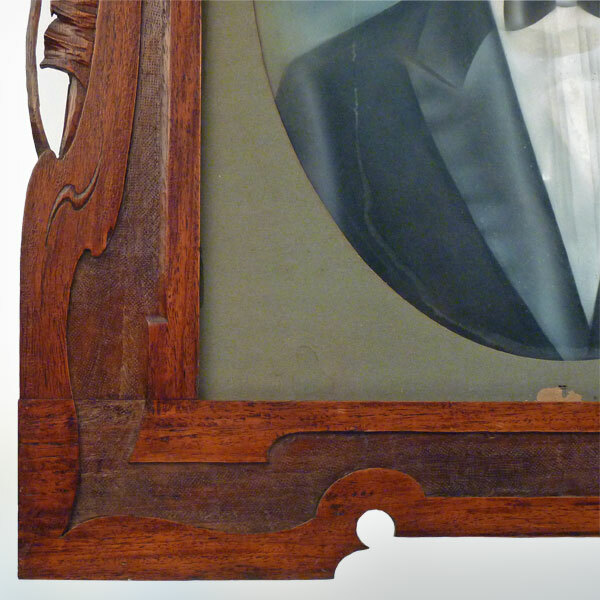 The piece measures 37" tall x 29" wide with the oval water color portrait itself measuring 23" x 15".